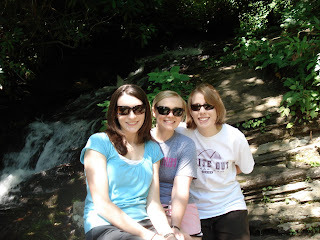 This past weekend my college roommate Alisia and I travelled to Boone, NC to visit with our other college roommate, Amanda. She's interning at Appalachian State University (the ones that beat Michigan last year in football) at their student counseling center and living about a mile off of the Blue Ridge Parkway in the beautiful high country of the Blue Ridge Mountains. It's a little cabin in the woods, and it's just precious. After an early morning flight into Charlotte, NC, she picked us up for the 2 hour drive to Boone. We followed the winding road and marveled at the amazing vistas and furniture stores. Next time we will drive or rent a u-haul. Prepare yourself, B-Dub. And we passed a ton of Christmas tree farms. 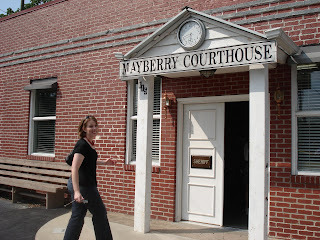 Saturday we went to Mayberry, a fulfillment of the dreams of one. We also had a Victoria Beckham sighting. Who knew she went red? 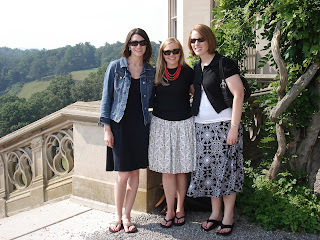 Sunday we toured Biltmore Estate, which was awesome. Question: What happens when a pharmacist, a psychologist, and a software engineer walk into Biltmore? Answer: An unsuspecting tourist is stalked and asked to take a photograph of people he doesn't know. 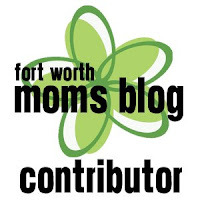 We had a ton of laughs on our road trips and enjoyed a custom 2 cd mix tape with diverse selections such as Kermit the Frog's 'Rainbow Connection,' Gloria Gaynor's 'I Will Survive,' and Pink's 'Get the Party Started.' I think we had a specific memory tied to each song on the cd, which I guess makes sense when you live with the same FUN and FABULOUS people for 4 years! After a flight home in which I think we hit every bump between Charlotte and DFW, I am hoping by today Alisia has regained full use of her right arm. I only grabbed it a couple of times and cried for my mom once. 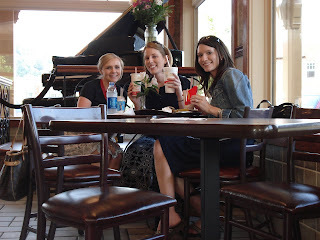 I had so much fun, ladies, and can't wait to do it again soon! Yay for roommate reunions! We seriously need to have a yearly fun trip now that we're all gainfully employed. I miss y'all!